We strongly recommend you take your new adult dog to training classes, even if it just for the initial 6 week course. It is really good fun and helps you bond with your new dog. There is a big difference between lack of training and lack of socialisation. If your dog is not good with other dogs please also read the section on socialisation here. You are responsible for the conduct and behaviour of your dog and dog training helps to make your dog a better doggie citizen. Of course, not all dogs needs to go to dog training – there are some dogs who are just well behaved and know how to behave. But lots of dogs don’t and that is where you, as the human in the relationship, need to take appropriate action. 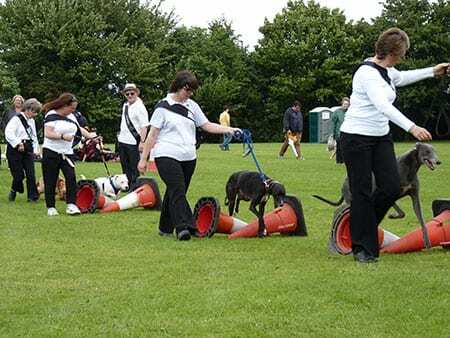 Dog training classes are fun, inexpensive and a great way of socialising your dog. They are held in village halls, church halls and community centres all over the UK – if you are unsure ask your vet or local pet shop for a recommendation. Just ensure the trainer uses positive reinforcements methods. Dog training is not about getting your dog to do tricks for a certificate – it is about ensuring they have respect for you, know how to behave in the home and in a public place, know how to behave off lead and are socialised with other dogs. More often than not, the dog trainer will very subtly change your behaviour rather than your dogs – it can work wonders! Most dogs love training – it is a great way for them to meet doggie friends and use their brain. Is that not a good enough reason to go? If you have adopted a KGR puppy, it will be a condition of the adoption that you attend puppy training classes. If you love your dog and want the best for him – and more importantly want to keep him – they you need to go to dog training. Always make sure you use a trainer or behavourist who uses positive training methods – never use one who believes in “punishment” methods of any kind i.e. they punish the dog if it does not do as asked. That you give your dog sufficient exercise for the type of dog he is – 2 hours standing in the park chatting with other dog walkers, with your dog on a lead, is not the same as a 2 hour walk. Lurchers need to learn recall so they can run around off lead. 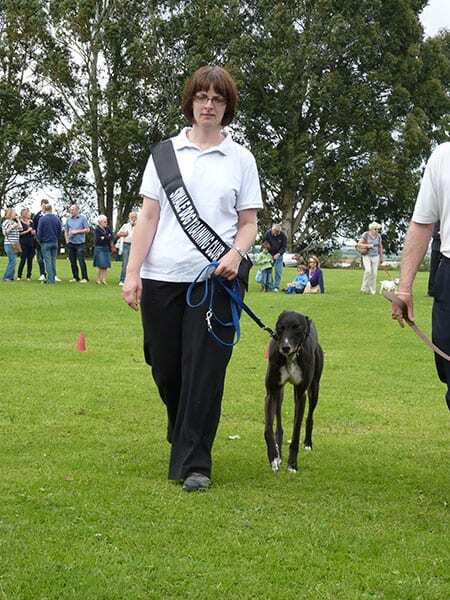 Most greyhounds are happy with lead walks, especially the older ones. If you dog is not getting enough exercise he may devleope behavioural problems. That you think about the type of food you are feeding your dog as additives and preservatives can encourage bad behaviour. That you read about dog behaviour on the internet or in a book to try to solve the problems. If you do not fully understand why your dog is behaving the way he is, then you might make matters worse. Your dog is what he is “a dog” – he does not think the way you do, so if you are thinking for him you could be sending out all sorts of mixed signals. That you instantly assume your dog wants to be pack leader if he misbehaves– and then try to implement training to resolve this. 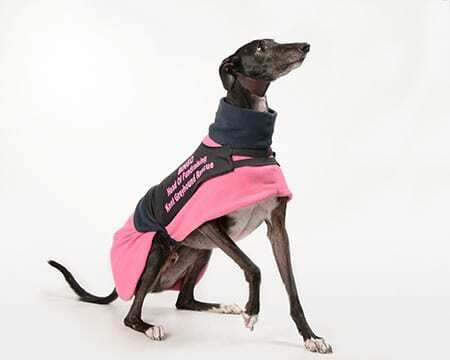 Most greyhounds and lurchers do not want to be pack leader as it takes too much effort. What they need is consistency, adequate exercise, assurance and training. The internet is full of pack leader theories and training tips and it is easy to give advice along these lines – but what if the problem is you, not the dog. Without professional advice you could make the problem 10xs worse. Dogs misbehave for all sorts of reasons and trying to be pack leader is just one of them. That you do take offence if your dog does not understand what you expect of him. If you are having problems, and you have tried everything – have you thought it may just be you either not understanding the problem or not correctly translating what you have read in a book or on the internet. It is essential that all puppies attend training classes. Puppies are welcome to join as soon as their vaccinations are completed. All puppies will start in a special socialising class, involving very basic training, playing and meeting other dogs and handlers. These social skills are absolutely vital for a puppy, and will ensure that your pup grows into an adult dog that is confident and comfortable when he is around other dogs and people. 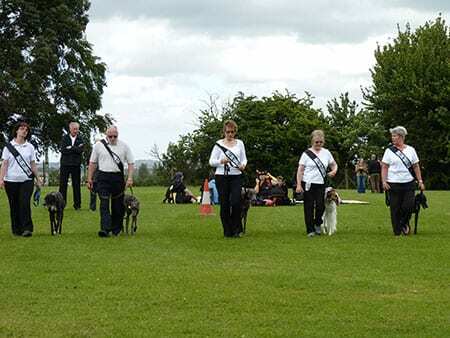 Thank you to the members of Swale Dog Training Club for the wonderful photographs showing greyhounds and lurchers can be trained and enjoy it! The trainer is granddad to 2 KGR lurchers so knows what to expect. The Swale dog training classes are held at Holy Trinity Church in Sittingbourne and Mr Starkeys contact number is +44 (0) 1795 427196.